The City of Santa Cruz invites the community to join Mayor David Terrazas and City officials to celebrate the launch of the new Bike Share program on Tuesday, May 22, from 12:15 p.m. to 12:45 p.m. at the Bike Share station on the northwest corner of Center and Church streets, in front of City Hall. 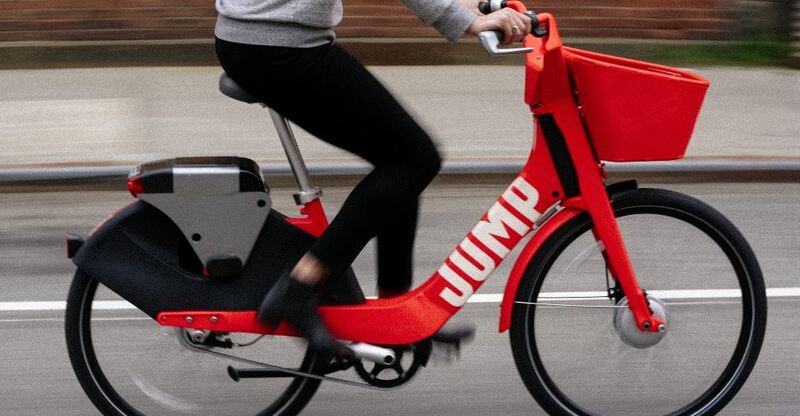 Bike Share is a partnership between the City and Jump Bikes providing 250 on-demand 8-speed bicycles for use by Santa Cruz residents and visitors at a cost of $2 per 30 minutes of riding and $.07 per minute for rides lasting over 30 minutes. There is also a $30 monthly plan that offers 60 minutes of ride time per day. A soft launch of 50 bikes will go live on May 10, Bike To Work Day, with the full 250 bikes available the morning of the ribbon-cutting. 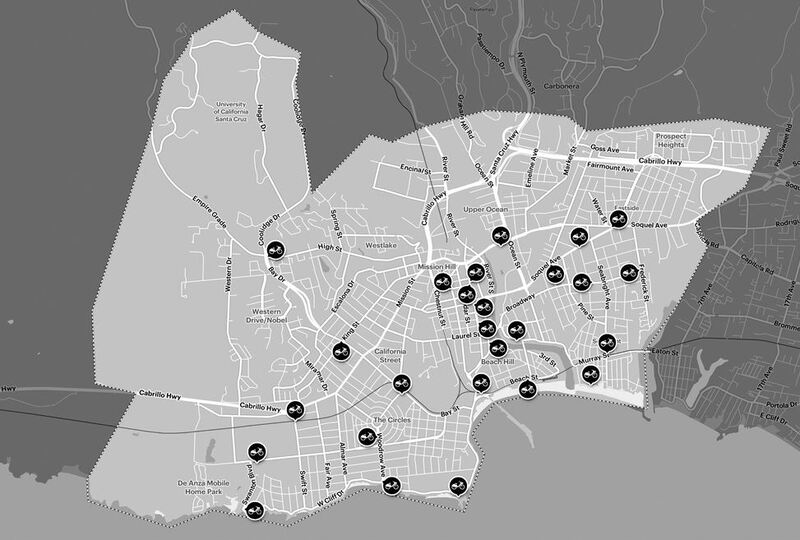 Santa Cruz residents and visitors may then rent a bike from one of the Bike Share stations detailed on the City website. Users must create an account to start renting, be over 18 years of age, and have a credit card to sign up. Users may locate a bike through the mobile app or online, then enter account information into the keypad which unlocks the bike for riding. Mayor David Terrazas and Public Works Director Mark Dettle will speak at the Bike Share ribbon cutting. The event is part of National Public Works Week when free trolley tours of the City’s Wastewater Treatment Facility and Recycling Center are offered. Times and location are detailed on the City website. Mayor David Terrazas will take his first Bike Share ride on Bike To Work Day, Thursday, May 10. At 7:25 a.m. the Mayor will lead a group of Bike Share cyclists from Verve Coffee Roasters on Pacific Avenue to Mission Hill School and back to City Hall. Cyclists include Santa Cruz Vice Mayor Martine Watkins, Santa Cruz City Manager Martín Bernal, Santa Cruz County Deputy Superintendent of Schools Faris Sabbah, Santa Cruz City Schools Board Member Deb Tracy-Proulx and Santa Cruz Chamber of Commerce Executive Director Casey Beyer.